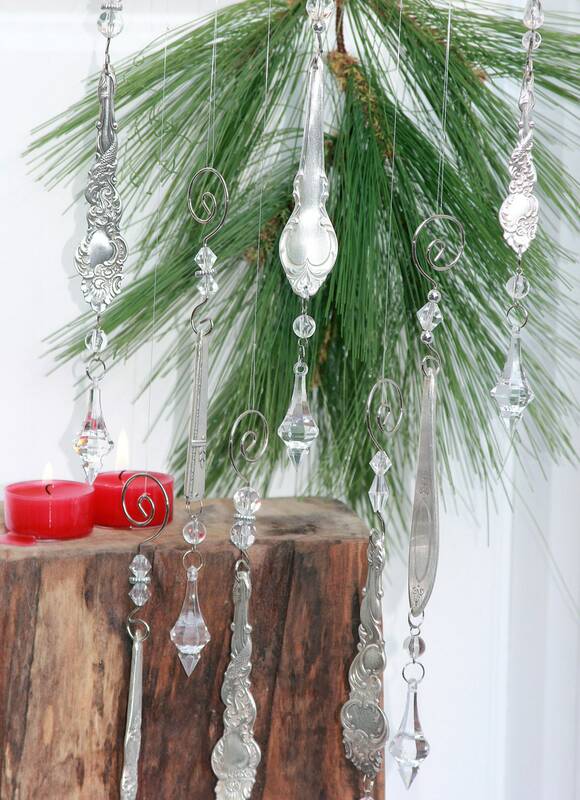 These darling silver plated ornaments began their journey as silver-plated flatware long ago. Over time they were graced with a lovely aged patina giving them character & charm. 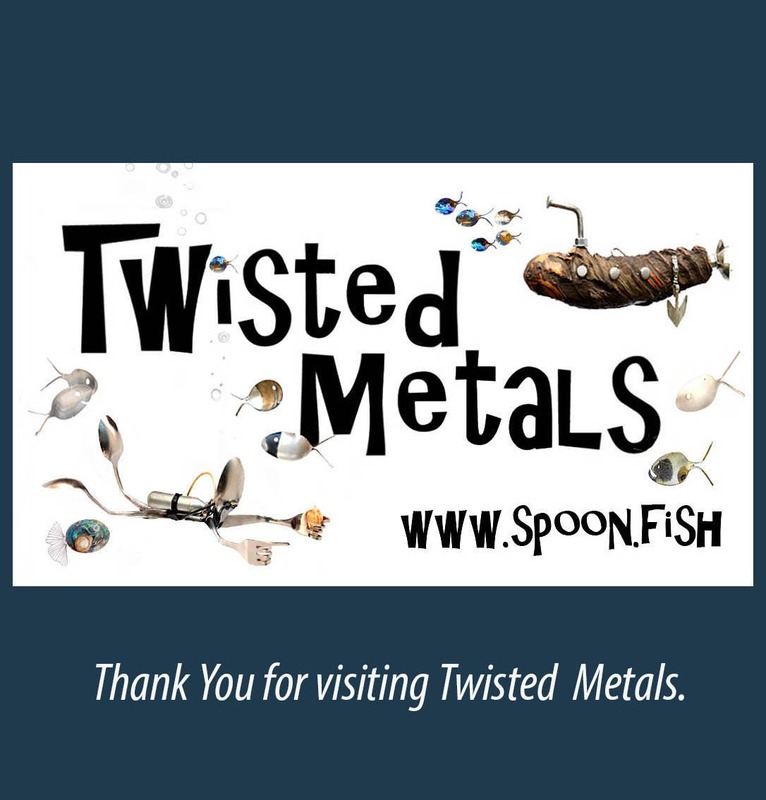 Each unique ornament is carefully crafted to delight all for years to come. A glimpse of history still resides on many of the backs, dating some these pieces back as far as the late 1800's. 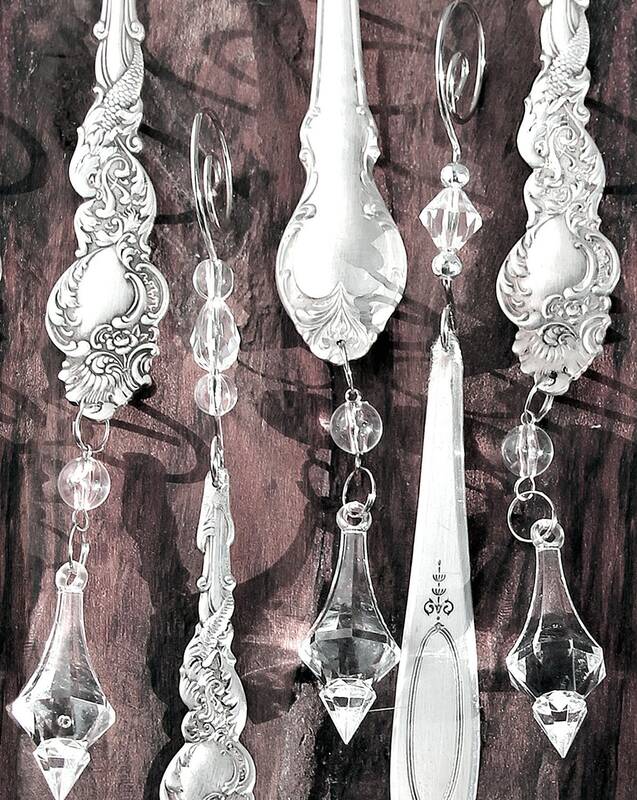 This listing is for THREE ornate Silver spoon, clear prisms, icicle ornaments. 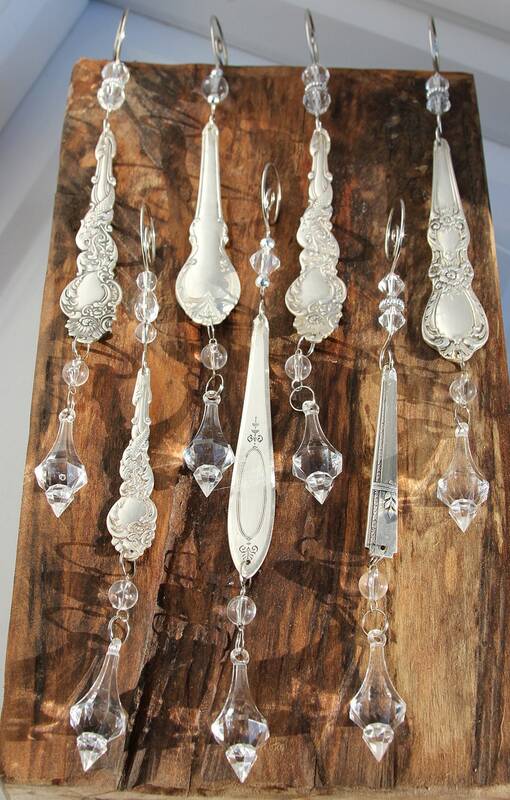 Each silver section will be ornate & unique, yet very similar to the ones pictured above. 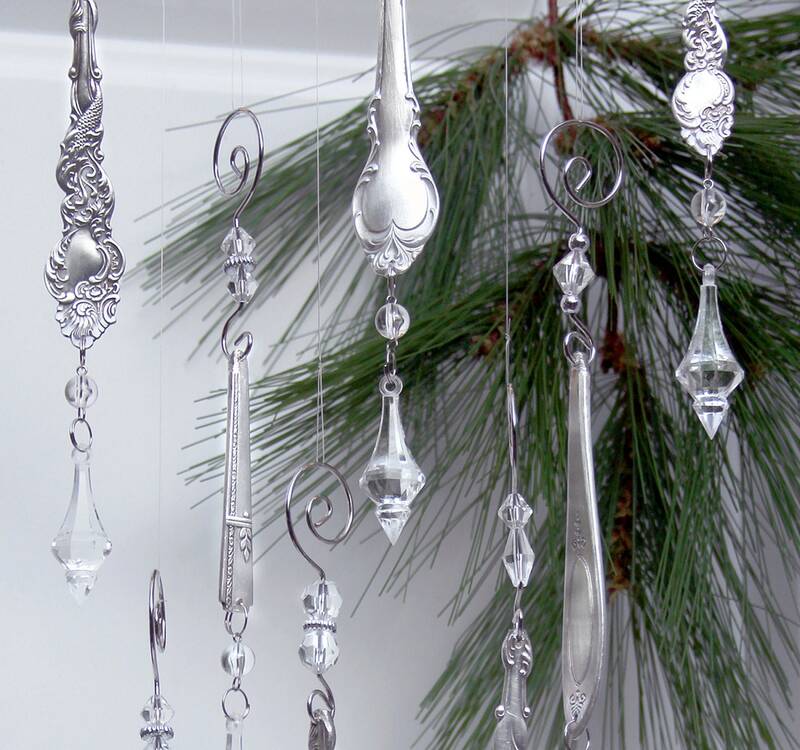 Ornaments are hand crafted from vintage and antique flatware. 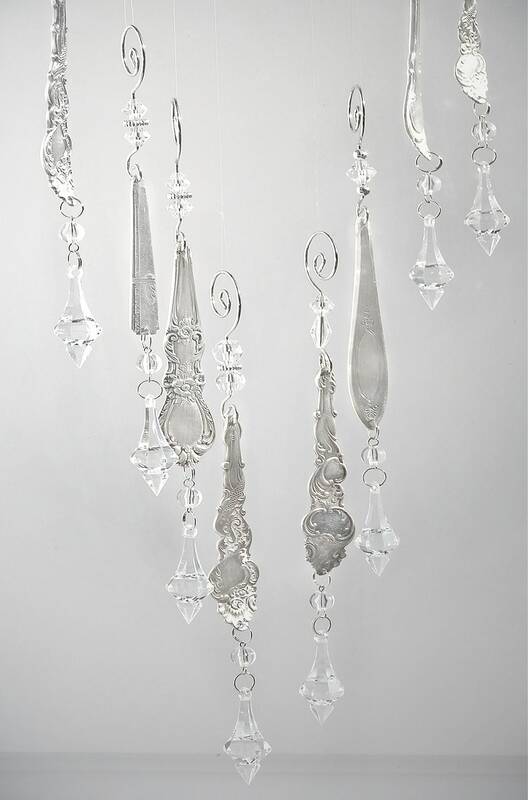 Crystal prisms are an up-cycled mix from vintage chandeliers. 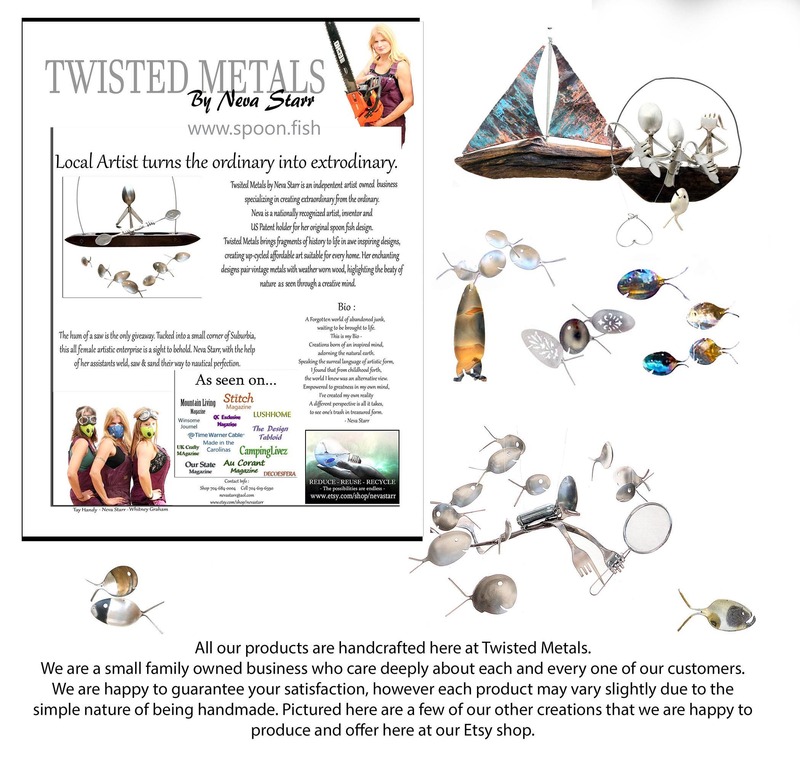 Crystals may vary slightly - yet each was hand selected to compliment the ornament perfectly. Makes a perfect gift for everyone both young & old. A bit of nostalgia with a modern twist.